Can someone please post a picture of their glove box light switch including their glove box light? Thanks Folks! Wow, talking about learning something new every day! 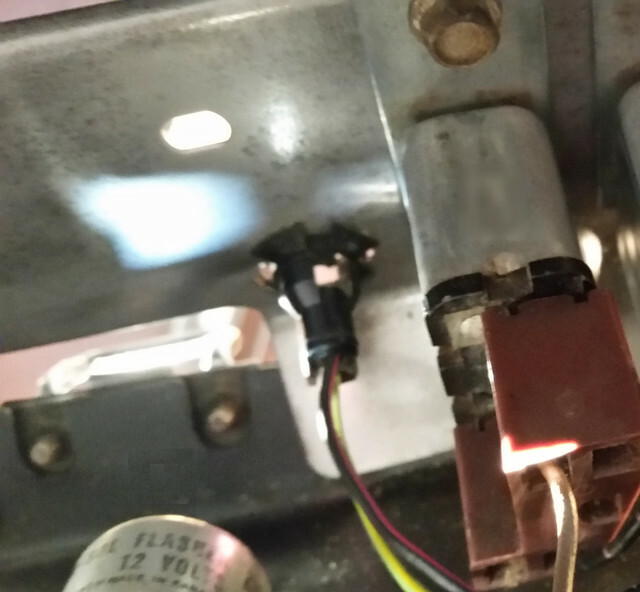 I thought my 71 Convertible had the convenience group but I do not think I've seen that light socket on my wiring harness. Rich, do you have a closer picture of where this light socket comes off the wiring harness. 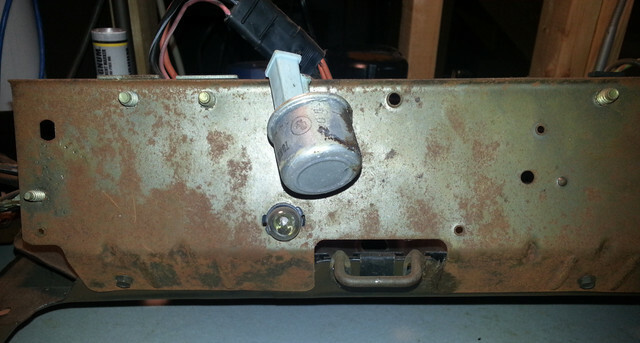 I used to have a working glove box light installed but I think it was for a 68 Mustang. I got a new repro switch from Don but I'm not seeing that darn socket. Thanks a bunch! Rich, I have a plug above the glove box, 2 brown wires together and an off white wire with red dots. I don't know what that plug is for but maybe it's where the light plugs in or is there no plug for the light since it's part of the harness? Thanks! (07-04-2018, 12:20 PM)NOT A T5 Wrote: Rich, I have a plug above the glove box, 2 brown wires together and an off white wire with red dots. I don't know what that plug is for but maybe it's where the light plugs in or is there no plug for the light since it's part of the harness? Thanks! I am guessing here a little.... The white with red dots is actually white with red hash marks and that goes to the emergency flasher warning switch. One of the brown wire should have light blue dots and is for the seatbelt warning buzzer relay wire. 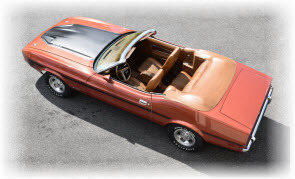 The brown should have a light blue stripe and is for the headlights on/door open warning reminder relay. This pic may help. It's an overhead view of the relay panel over the glove box for my 73 heavily optioned vert. The only thing not present is the relay for the rear window defroster. I think I have all the wire colors correct, but if not hopefully Midlife can correct me. I attached a picture of the "unused" plug. My seat belt light and key warning/headlight buzzers are connected to their relays. Thanks! That unused plug is for your emergency brake light. 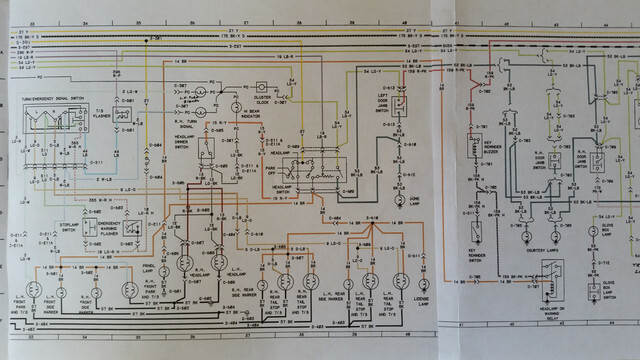 Can't really see anything in this schematic, but I do have the manuals to look it up. Don't know what C 604 would be but thanks! (07-06-2018, 05:33 AM)NOT A T5 Wrote: Can't really see anything in this schematic, but I do have the manuals to look it up. Don't know what C 604 would be but thanks! If you click on the image it should open up in another browser window where it is much large and more legible. C604 is the circuit.